Large and long-established organisations are often hesitant to release control and actively support distributed organising projects. In one example that breaks the mold, Friends of the Earth (FoE) and Climate Change Coders (CCCoders) have partnered on a new data-driven, open-source mapping project. The goal is to get campaigners from the UK (and beyond) to use freely available mapping code to create maps with different layers, data points and annotations. The open-source code was originally developed by Friends of the Earth, and it has already been deployed successfully on a ton of fascinating projects, including some involving bees, flood zones, and fracking. This collaboration is striking in that it sets the traditional model on its head and helps answer important questions about NGO campaign development. Could open-source technologies and collaborations with external talent and partners be a trend that sets organising in a new direction? What type of results can be netted through this distributed approach vs a more traditional (and more internally-controlled) approach? In addition to sharing digital resources, the groups have had four in-person meetups, all in London, with hopes for expansion to other countries. Duncan Walker is the Solutions and Development team leader at Friends of the Earth, coordinating the project with CCCoders. Mobilisation Lab peppered Duncan with a few questions to get further insights into the project and the unique distributed model. 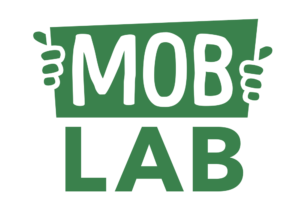 Moblisation Lab: What is the goal of the project? How’d you come up with the idea? 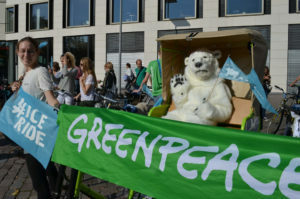 Duncan Walker: Last year, Friends of the Earth realised that a number of our campaigns had a strong geographic theme, and our communications would have more impact if we were able to use maps to express our message online. Rather than spending web developer time assembling each one of these, we decided to build MapMaker, a tool that allows our campaigners to easily pull together data from several different sources and present them together on an interactive Google Map. ML: What are you looking for other developers to do? DW: MapMaker works well for us – it has helped show how our campaigns are relevant to our supporters, made fundraising a bit more fun, and saved us time when creating content. Yet, we think it could do more. We have had some great feedback on MapMaker and several other organisations have told us that they would find MapMaker useful, so we’ve made the code open source. It would be great if we could have developers contribute code, whether new features, bug fixes or interface enhancements to our public code repository. All of the information on where the community would like to see the tool going is on the ‘Issues’ page in the code repository. At the moment, the tool requires quite a bit of technical knowledge, but we are running regular sessions through the Climate Changer Coders group to introduce developers to the code and make sure they can hit the ground running. ML: How long will the project last? DW: We are still using MapMaker for our bees and fracking campaigns, and we are likely to use the tool again for other campaigns in the future. Although the tool already meets most of our needs, we would like to see it grow and be taken up by a development community which wants to use it for campaigns and “work on the stuff that matters.” We will continue to be supportive of this community for at least the next year and hopefully beyond. ML: How can this tool help an organisation’s campaigns? 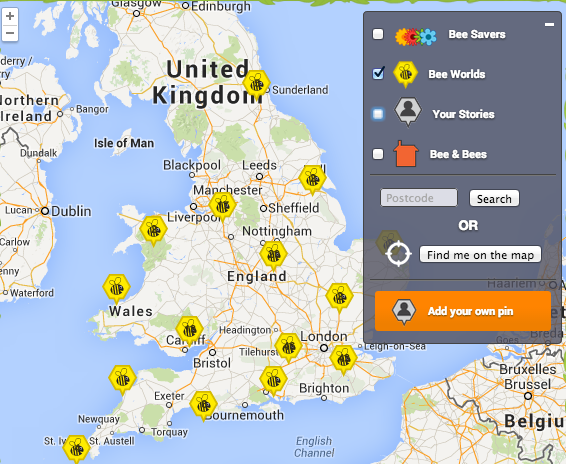 Help us communicate and share the love for Bees across the country. Show the number of homes at flood risk mapped to MP constituencies. Track local support for the Clean Power target during the UK Energy Bill debate, by showing local area green businesses, environmental groups & community energy projects in MPs’ backyards. Helping to fundraise our campaign against Fracking, by showing the areas of country covered by up-coming licencing rounds. Work out the spread and best positions for massive advertising billboards in the run up to Clean Power vote. ML: Who could use these maps? Who is the target audience? DW: We designed the tool with campaigning in mind, so it would be perfectly suited to people tracking planning applications, analysing political data, or demonstrating the amount of support their campaign has. Much of the functionality could also apply to any organisation that has supporter or customers spread across a wide geographic area or want to talk about issues that affect particular locations. ML: You’ve been successful in the UK. Are you hopeful this tool can be spread internationally? Any ideas for other countries on how they can use it? Showing which buildings in a country have the best potential for solar. Demonstrating to elected leaders how many of their constituents support a motion or bills. Coordinating ‘Get Out The Vote (GOTV)‘ activities. In essence, if there is data on the web that you want to present or analyse on a map, MapMaker could do it. In its current form, the open source version of MapMaker allows you to pull data in from Google Fusion Tables, JSON Feeds, XML Feeds, and user-submitted images. We have also developed our own integrations with our CRM so we can let our supporters put themselves on the map; this is a really powerful way to engage with supporters. ML: Any other info/background/goals/next steps? DW: If there are any other organisations that have an immediate use for MapMaker, I would be more than happy to talk through our experiences and introduce them to some of the developers that have already gotten to know the system. Do you have Python/Django/AngularJS skills? Want to contribute an idea on how it can be used? Coders are already starting to contribute improvements to the project, and so it does look like there is some momentum at this stage. If you are interested in joining the project, you should first join the Google discussion group. For those more technically inclined, the data for these maps is stored in Google Fusion tables, and the tool used to create the maps runs in Django/Python. The full details of the project are currently here.